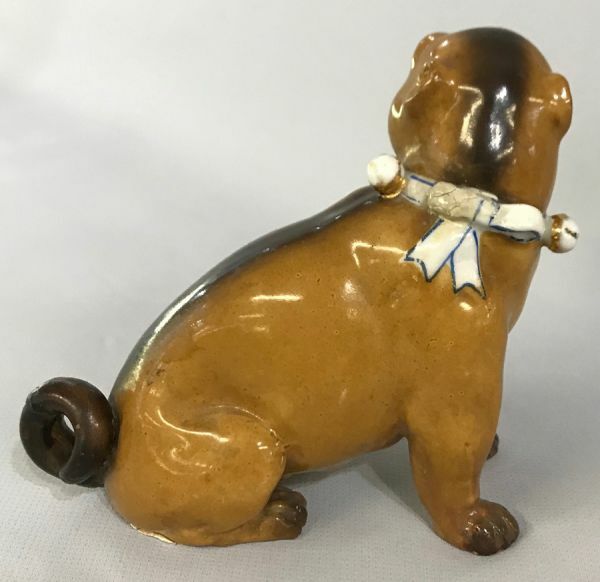 Antique porcelain pug dog figure. 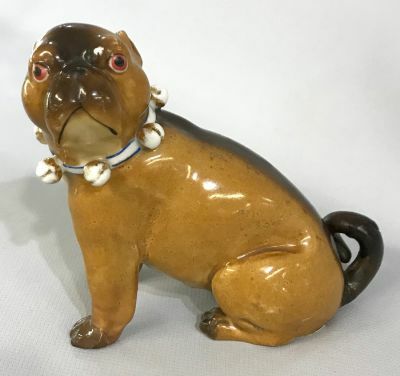 Unmarked, likely German, 19th century. There is repair to the bow on the collar and the tail. 4” high, 4 1/2” long.